I love Buffalo Wings. Love em. Love em. Love em. But sometimes, you want something different to break up the predictability of the typical Buffalo-Sauced wings. Enter my Orange Sriracha Wings. With the Super Bowl coming up, I thought it’d be a good idea to improve upon this recipe I was developing last month. I actually attempted these just before Christmas, but they weren’t exactly “ready for prime time” yet. But I had a good start, so I tweaked them this afternoon and the results were much more pleasing. I just love that combo of Asian-inspired flavors combined with the heat of the Sriracha. It’s like buffalo wings with a nice twist! If you’re a fan of Orange Chicken from your local Chinese Restaurant, you’ll love these wings! The drumettes prepped and ready to go in the oven. One of my favorite parts about this recipe is that the wings are oven-fried, which saves a few calories…and a hot greasy mess. The secret to a somewhat crispy skin is a very light dusting of baking powder plus seasonings. I actually learned this from watching Chef John’s videos over at Food Wishes, so I give him credit for this method. My other favorite part is that this is another easy recipe! These pack a lot of flavor considering that this involves relatively few steps. 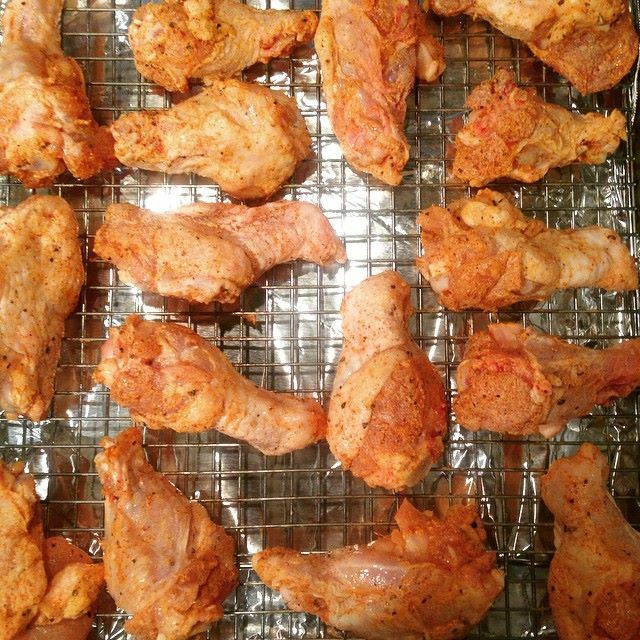 Lightly coat your chicken wings with the baking powder and seasonings. Cook the wings in the oven for an hour, turning them over at halftime. Like, halfway through cooking. Not while Katy Perry is doing her thing. 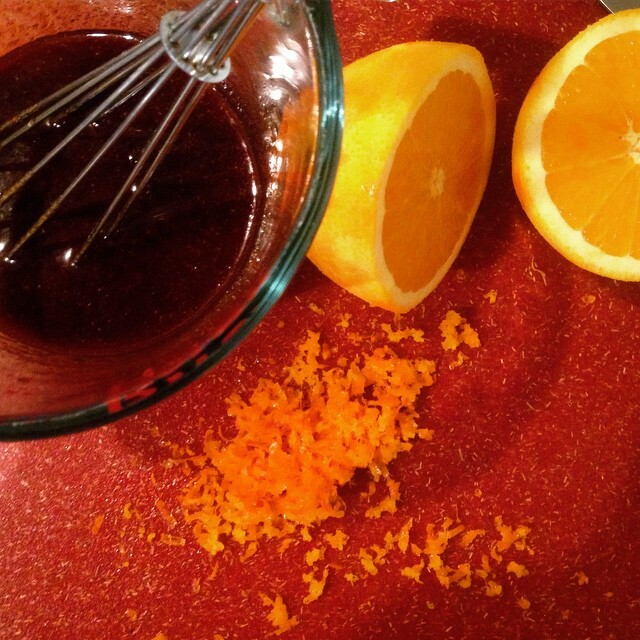 For the sauce, simply whisk all of the ingredients together until it makes a nice glaze. When the wings are done, simply toss the wings with as much glaze as you’d like. If you like them lightly sauced, use half and save the rest for another batch. If you want them really saucy, try using half, sticking them back in the oven for 15 minutes to caramelize and then add the other half on top of that. Hopefully, these will be a hit with your friends and family on game day!